> Lobby Cards and Photos>LIFEFORCE 8 8x10 mini LCs '85 Tobe Hooper directed, Steve Railsback, space vampires! LIFEFORCE 8 8x10 mini LCs '85 Tobe Hooper directed, Steve Railsback, space vampires! 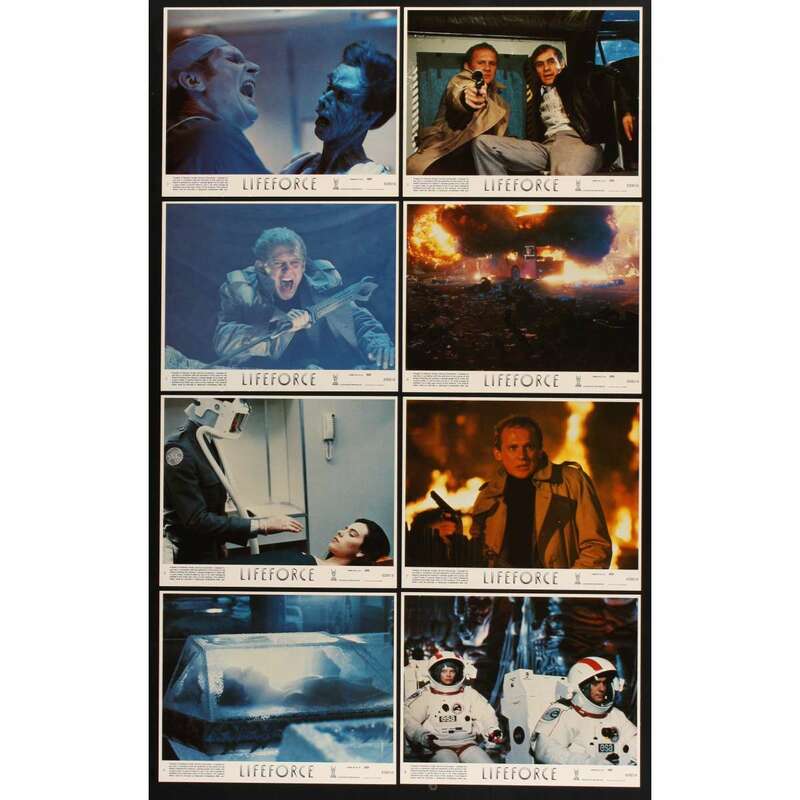 8 Original Vintage Theater-Used Mini Lobby Cards (8x10 LCs; measures 8" x 10" [20 x 25 cm]) Condition: Excellent (C8) See our 10 GRADE SYSTEM Page for more information.